Nitrogen was isolated in 1772 by Scottish physician Daniel Rutherford who thought it was noxious or phlogisticated air since it would not support the life of a mouse. It was later named in 1790 by Jean-Antoine-Claude Chaptal after finding nitrogen in the mineral niter or nitre (old synonyms for potassium nitrate or saltpeter) and nitric acid. Nitrogen is the lightest element in Group 15 (the Nitrogen group) of the Periodic Table of Elements. This group is also called the pnictogens, a derivative of the Ancient Greek word pnigein meaning “to choke,” referring to the choking property of nitrogen gas. At standard temperature and pressure, two atoms of nitrogen combine to form dinitrogen (N2), a colorless and odorless gas. Atmospheric nitrogen gas comprises 78% of the earth’s atmosphere making it the most abundant element in pure form. It is also found in much lower amounts, 0.002% in the earth’s crust and 0.00005% in the earth’s oceans. Gaseous nitrogen is not useable by plants or animals and must be changed or fixed into plant usable forms such as ammonium and nitrate. Nitrogen can be biologically fixed by free-living microorganisms in the soil or as symbiotes in nodules of legume roots. Nitrogen can also be fixed by lightning and carried to the earth’s surface via precipitation. Industrial fixation accounts for the bulk of plant available nitrogen in compounds such as ammonia, nitric acid, propellants, explosives, and cyanides. Nitrogen is present in all living organisms as amino acids, proteins, nucleic acids, and energy transfer molecules such as ATP. The human body contains about 3% nitrogen. Plant nitrogen normally ranges from 1-5% of the total weight. The traditional belief before 1804 was that plants absorb nitrogen from the air. The reasoning was that plants use CO2 (which is around 0.03% by volume) from the air. It should be much easier to use N2 since it is at a higher concentration (nearly 78% by volume in air). However, Théodore de Saussure in 1804 demonstrated that nitrogen was absorbed through the roots by plants and was essential for growth. A clearer understanding of nitrogen and plants resulted from the work of Jean-Baptiste Boussingault around 1850. He clearly demonstrated that growing leguminous crops increased the concentration of soil nitrogen. More importantly, he demonstrated that plants grew proportionately relative to the amount of available phosphorus and nitrogen. This critical understanding of nitrogen and plant growth paved the way for developing fertilizing practices once nitrogen fertilizers were developed. Nitrogen is required in greater quantities for plant growth than any other essential nutrient except for potassium. Nitrogen in plants exists as inorganic and organic forms depending on its use and function in the plant. Mineralized or inorganic nitrogen is taken up by roots and foliage as ammonium (NH4+) or nitrate (NO3-) and translocated by various active and passive transport systems. Nitrate is reduced into nitrite (NO2-) in the cytoplasm of cells by photosynthesis, or reduced by respiration in roots and non-green tissues. Concentrations of NO2- are low since NO2- is toxic to plants. Nitrite is further reduced in chloroplasts (in leaves) or plastids (in roots) to ammonium which is then used for amino acid synthesis. Each step in the conversion of ammonium or nitrate into amino acids costs the plant energy. Most organic fertilizers such as fish emulsions have nitrogen in the form of proteins which are not immediately available to a plant. These fertilizers must be mineralized or digested by microbes into plant usable forms. Newer amino acid based organic fertilizers have their nitrogen immediately available to the plant. Exogenously supplied inorganic fertilizers that contain ammonium and amino acid organic fertilizers are immediately imported into foliage and roots of plants. Conversion of inorganic ammonium into amino acids requires energy. Synthesized amino acids and exogenously applied amino acids are used directly in protein synthesis saving the plant energy and time. Nitrogen is found in two (amino acids and nucleotides) of the four major organic molecules in plants (carbohydrates and fatty acids are the other two). Amino acids are a major nitrogen currency (along with ammonium and nitrate) for plants. Exogenously applied amino acids are used directly for protein and nucleotide synthesis and do not incur the plant energy cost that occurs with the conversion of synthetic nitrogen into amino acids. Thus, nitrogen is a key element in a number of biologically important molecules. Proteins for example contains up to 85% of the nitrogen in a plant. Nucleic acids (DNA, RNA) accounts for 5% of the total nitrogen in a plant. Purines, pyrimidines, coenzymes (vitamins), and other compounds account for most of the remaining nitrogen. Nitrogen concentrations in plants vary with age of the plant, environmental conditions, and fertility. In the early stages of growth, concentrations are usually high throughout the plant. As plants mature, nitrogen is mobilized from old leaves to support growth of meristems, young leaves, and fruits. Internal concentrations of nitrogen rises when plants are stressed by low nutrients, lack of water, or low temperatures. Ammonium fertilizers promote vegetative growth and plants will have more nitrogen in their vegetative parts than plants receiving nitrate-based fertilizers. Global estimates for nitrogen reservoirs for the atmosphere, crust rock, and biosphere are 4,000 exagrams, 2100 exagrams, and 15 exagrams, respectively (one exagram is 1015 kg). Nitrogen exists as inorganic gasses in the soil pore space (ammonia, atmospheric N2, nitrous oxide), as water soluble compounds in the soil matrix (ammonium, nitrate, nitrite), as organic compounds or ammonium in sedimentary rock, as silicate minerals, or as organic compounds derived from decomposing plant and animal residues. Of the inorganic forms, only ammonium (NH4+) and nitrate (NO3-) are usable by plants. Ammonia (NH3) is a volatile gas that is easily lost from the soil. Atmospheric N2 in the pore spaces of soil must be fixed by free living or symbiotic microorganisms before it is available to the plant as ammonium (NH4+). Biological fixation occurs when free-living nitrogen fixing bacteria such as (Azotobacter sp., Azospirillum sp., Bacillus sp., Cyanobacterium sp., Nitrobacter sp., Nitrosomonas sp., Pseudomonas sp., Vesicular-Arbuscular mycorrhizae, etc.) or legume nodules with endosymbiotic bacteria (Bradyrhizobium sp., Rhizobium sp.) converts N2 into plant usable NH4+. Atmospheric fixation is the small percentage of soil nitrogen that is contributed by precipitation of lightning formed inorganic nitrogen. Nitrous oxide, like NH3, is readily lost from the soil. Nitrogen also exists as ammonium in sedimentary rocks from ancient animal, plant, and microbial life either as remnant organic nitrogen or NH4+. In metamorphic rocks only NH4+ is found. Nitrogen is found in silicate minerals such as ammonium illite, Tobelite, and Buddingtonite. Previously, these were not considered as significant sources of nitrogen. However, it was observed that microbial and atmospheric fixation and deposition alone were insufficient to support productive forests in soils lacking these minerals. Recent correlation of better performing forests in areas with sedimentary rock demonstrated the importance and significance of bedrock nitrogen in traditionally carbon-rich forests. Thus, these minerals are considered as another important source of nitrogen. Soil organic nitrogen is derived from carbon containing compounds such as decomposing plant and animal residues (humic substances). As soil microbes consume organic matter, NH4+ or NO3- is released allowing nitrogen to be recycled as plant uptake. This is known as mineralization, a slow process that can take anywhere from months to thousands of years depending on the type of organic material. Organic nitrogen can be found in a variety of organic compounds. It is found in proteinaceous materials such as proteins, peptides, and amino acids (ca 40%); heterocyclic nitrogen compounds such as purines and pyrimidines (ca 35%); NH3 compounds with about ¼ as fixed NH4+ (ca 19%); and amino sugars (5 - 6%). Higher soil temperatures increases microbial activity and promotes rapid organic material decomposition. However, this may result in lower soil organic nitrogen due to leaching. Higher soil moisture increases soil organic matter from increased plant growth. Concentrations of soil nitrogen tends to decrease with soil depth. Organic nitrogen in soil ranges from 0.02% in subsoils to 2.5% in peats. Unfortunately, under natural conditions, plant available is usually in short supply and supplemental nitrogen fertilization is needed for biomass production. Nitrogen can be lost from the soil via a variety of processes. Denitrification by microbes converts nitrate to N2, NH3, or N2O which are lost by volatilization. Water soluble nitrogen (NH4+ and NO3-) are lost by leaching, runoff, or used by plants and microbes. Significant amounts of nitrogen are removed with harvest crops. For example, a 150 bushel per acre corn harvest can remove 135 pounds of nitrogen. 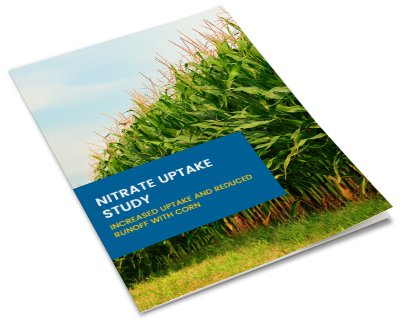 Traditionally, nitrate and ammonium have been the major sources used for replacing nitrogen removed by crop plants. However, there is a growing trend for supplying nitrogen with amino acid based fertilizers. 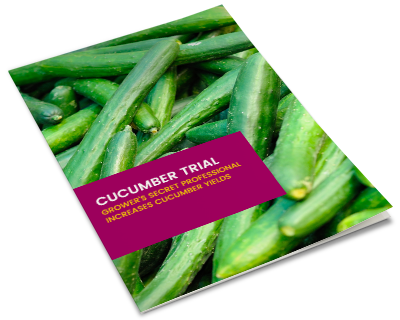 These are directly taken up by plant roots and foliage and used directly in protein synthesis. Nitrogen plays major roles in cell division and cell enlargement. Nitrogen deficiency first show as a yellowing or chlorosis of older leaves. Symptoms develop on younger leaves if the deficiency is severe. Other symptoms of a nitrogen deficiency are stunted, spindly plants, less tillering in small grains, fewer leaves, and greater susceptibility to stress (weather, pathogens, pests). 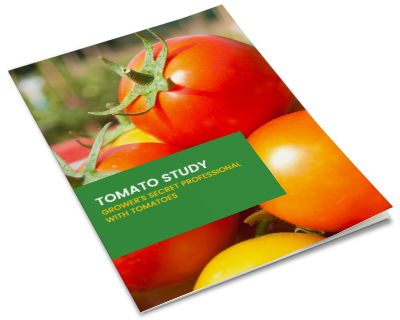 Some symptoms such as low protein content in seed and vegetative parts are not detected until after harvest or when tissue analyses are performed. Individual crops have slight variations in symptoms unique to the plant. In corn, there is a yellowing at leaf tips that moves along mid rib. In young plants, the entire plant may be yellow. Stalks may appear spindly. This can all be compounded by cool conditions, sandy soils, and saturated soils. In soybean, leaves may become uniformly yellow starting at the bottom. Growth may be spindly, and defoliation may occur. Early and mid-season nitrogen deficiency in cotton results in chlorosis, a reduced size of younger leaves, and reduced plant height. Late season nitrogen deficiency results in a reddening in the middle of the canopy. While most of these symptoms are obvious, they may not manifest themselves until the nitrogen deficiency is severe. The loss of yield and quality begins before deficiencies are observed. That is why proper monitoring of soil and leaf nitrogen are very important for efficient nitrogen use in crops. Fertilization is needed since most soils cannot supply sufficient quantities of nitrogen for commercial crop production. Nitrogenous fertilizers can be grouped into three categories, synthetic fertilizers, non-synthetic fertilizers, and microbial inoculants. Synthetic fertilizers are manufactured inorganic nitrogenous compounds such as ammonium nitrate, ammonium sulfate, anhydrous ammonia, calcium ammonium nitrate, and urea. Non-synthetic fertilizers are manufactured from animal manures and wastes, food wastes, municipal sewage, plant wastes. While organic in origin, non-synthetic fertilizers cannot be used for organic food production until review and approval by a regulatory agency such as the California Department of Food and Agriculture Organic Input Materials Program (OIM), the Organic Materials Resource Institute (OMRI), and the Washington State Department of Agriculture (WSDA). There is a variety of non-synthetic feedstocks that can be used to supply nitrogen to crops that are derived from animals (blood meal, bone meal, feather meal, fish meal, horn meal, hoof meal), manures (bat guano, chicken manure, livestock manures, seabird guano), municipal wastes (sewage sludge, sewage biosolids), oil cakes (castor, cotton, safflower, coconut, groundnut, linseed, rapeseed, safflower, sesame), or hydrolyzed plant materials (soy meal, grain wastes). Micro-inoculants are the third category of materials that can supply nitrogen to a plant. They are also known as biofertilizers which are a misnomer since these are bacterial or fungal microorganisms that are artificially grown and mixed with a carrier. These organisms provide nitrogen to the plant by fixing atmospheric nitrogen or mineralizing organic and inorganic sources. The majority of microbial inoculants in today’s market are symbiotic bacteria. Nitrogen content in synthetic and nonsynthetic fertilizers are expressed as a percentage of the dry or liquid weight of the fertilizer. For example, urea (CH4N2O) the commonly used form of nitrogenous fertilizer is a 46-0-0 fertilizer. That means there is 46 pounds of nitrogen for every 100 pounds of fertilizer. There are pros and cons for each category of fertilizer. Pros - Synthetic fertilizers cost less per pound of nitrogen delivered with each application. They are easy to ship and for the most part do not have foul odors. Quality is consistent, so it is easy to calculate the proper amount to use to obtain desired nitrogen levels delivered to the plant. These fertilizers are easy to store, and the label tells you exactly what you are adding to your fields. Synthetic fertilizer provide nitrogen in the form of ammonium or nitrate, so they are immediately available for uptake and use by the plant. Cons - Synthetic fertilizers generally do not contain any micronutrients. Some fertilizers such as anhydrous ammonia are hostile to soil microbes and decrease microbial diversity. Depending on the environmental conditions, nitrogen can be lost due to volatilization, runoff, and leaching. When additional nitrogen is added to compensate for loss, additional problems such as burning (when using nitrogen fertilizers containing salt), lowered soil pH (with ammonium sulfate fertilizers), and environmental pollution can occur. Despite efforts to distribute fertilizer applications over the course of a growing season, unpredictable atmospheric events may cause leaching and contamination of groundwater and waterways. Additionally, foliar application of these products can cause burning of the plant. Other organic fertilizers are harvested from natural sources such as bat and seabird guano. Recently, amino acid fertilizers made from soy meal are increasing in popularity. These are especially advantageous since they are immediately available for plant uptake and utilization for protein and nucleic acid synthesis. Some have nutrients in high concentrations (amino acid fertilizers, and seaweed) and are immediately available to the plant. Cons - Overuse of high phosphorus containing organic fertilizers such as bat guano, steamed bone meal, and fish bone meal can cause phosphorus buildup. Some organic fertilizers can attract raccoons (steamed bone meal) or rodents and dogs (fish emulsion). Other organic fertilizers can have human parasites and pathogens (pig manure), or have deadly forms of E. coli or other enteric bacteria (cow manure). Some of the mined minerals such as soft rock phosphate are mineralized slowly over time so results are not immediate. Most organic fertilizers have nutrients in low concentrations which raises shipping costs because a greater volume of organic fertilizer is needed to deliver the same amount of nitrogen per acre as a synthetic fertilizer. For example, to deliver 60 pounds of N to an acre would require 1 ton of chicken litter compared to less than 200 pounds of ammonium nitrate. Depending on the source material and manufacturer, N analysis can vary, and availability may be limited to finding economical transportation. Manures from animal feeding operations are usually high in salt content which can prove deleterious to plant growth over time. Dairy and feedlot manures are 5 to 10% salt. Most manures require mineralization by microbial activity before they are available to the plant. Amino acid fertilizers are the only form of organic nitrogen fertilizers that do not have major issues. The only problem is that these fertilizers are very hydroscopic and must be stored away from moisture. Pros - Microbial inoculants are an environmentally friendly method to provide nitrogen for crops. Symbiotic and free-living microorganisms are used to fix atmospheric nitrogen. Some of these organisms have growth promoter activity. Properly used, microbial inoculants can replace some of the need for chemical fertilizers. These fertilizers are less expensive to produce than manufacturing synthetic fertilizers. Cons - Results from the use of microbial inoculants effects are slower since it takes time for the microorganisms to establish and effective population. Most products have a limited shelf life so fresh product must be obtained annually. This is problematic in remote areas with poor distribution networks. Microorganism are sensitive to temperature and humidity so can be a storage challenge. The symbiotic microorganisms are specific to the plant and free-living microorganisms require plant exudates to survive. Thus, these organisms must be reapplied with each crop. Plants need nitrogen more than any other essential plant nutrient. Proper use (right fertilizer, right rate, right place, right time) results in healthier greener plants, higher yields, and higher quality. However, proper balance of nitrogen with other plant nutrients is important. Proper amount of nitrogen is best determined with tissue analyses. Some examples of tissue N are provided in Table 1. Table 1. Diagnostic nitrogen concentrations for plants (% dry mass of leaves). Note, sufficient amounts vary with age of plant. Low = deficiency symptoms may occur. High = toxicity symptoms may occur. From: Handbook of Plant Nutrition. A. V. Barker, D. J. Pilbeam. Nitrogen applications exceeding nitrogen use can result in undesired impacts in crop yield and quality. Yield can be impacted in increased vegetative growth, reduced number of inflorescences, reduced flower bud initiation, reduced fruit set. 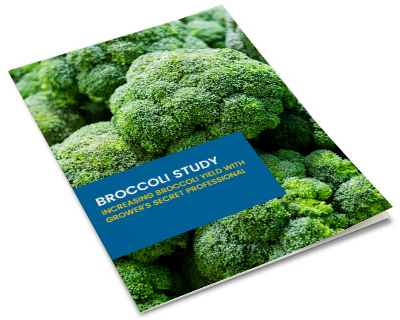 Quality differences reduced organoleptic attributes such as color, flavor, and aroma), reduced content of other mineral nutrients, reduced synthesis of secondary metabolites such as anthocyanins, vitamins), and increased nitrate content in leaves. Under severe excess, leaves will dry and abscise. Root system may be underdeveloped and deteriorate. Fruit and flower set will be inhibited and deformed. Nitrogen was the first element to be identified as an essential element for plants. Along with carbon and phosphorus, nitrogen provides the organic building blocks for plant growth, quality, and yields. Commercial fertilizers produced through chemical industrial processes, and manure applications are traditional nitrogen sources for crops. An average of 58.3 pounds per acre of commercial fertilizer is applied annually across all growing regions in the United States. Manure supplies around 7.3 pounds per acre annually. Atmospheric deposition accounts for 5.6 pounds per acre. Bio-fixation, primarily through the use of legume hay, peanuts, and soybeans contributes 69.7pounds per acre annually. Currently, it is estimated that a little over ⅓ of growers utilize best management practices for nitrogen. Excess application is often encountered to compensate for the variability in weather. Nitrogen fertilizer use is anticipated to rise in 2018 and beyond. Best management practices that applies the right fertilizer, at the right amount, at the right time, with the right application method will be important to balance food production against global impacts of nitrogen use.